At Eisner Law Firm, we have put together a team of medical malpractice attorneys, personal injury lawyers, former doctors, and former insurance agents that are willing and prepared to get you the highest possible compensation in any case we try. In addition to medical malpractice, Eisner also specializes in specific personal injury cases. Eisner can help you navigate your way through some of the most complex lawsuits there are. The personal injury and medical malpractice attorneys at Eisner Law Firm are experienced in handling cases regarding, medical malpractice, personal injury and expert witness evaluation. Our attorneys have a background defending both sides of the aisle, having experience fighting on the behalf of facilities and professionals and experience fighting for the mismanaged patient. 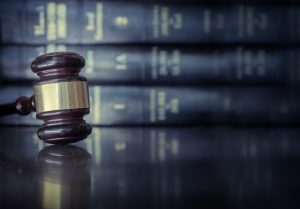 This experience provides our attorneys with the knowledge to create unique ways to approach and fight certain cases. Our attorneys include our clients in every step of the process providing an outline of their plan for the case. New York is one of the most populated states in the country and New York City is the densest area. That is potential for a lot of injuries due to the negligent and reckless behaviors of others. Anything can happen at any time; if you were a victim of someone else’s wrongdoing, please do not hesitate to reach out to us. We have experience handling a variety of cases and a reputation that speaks for itself. Medical malpractice is a very complex area of law. Medical malpractice is “any act or omission by a physician during treatment of a patient that deviates from the accepted norms of practice in the medical community and an injury to the patient.” In other words, if a doctor performs a procedure on you, or gives you a medication, but does not make you aware of the risks and alternatives, and it directly causes you harm, you have a medical malpractice case on your hands. This can be tricky because doctors are human and sometimes they make mistakes. If a doctor makes an honest mistake and has made you aware of the risks and alternatives to the treatment, it is not medical malpractice. An example of medical malpractice is when a doctor is going to perform surgery, but does not get your signed consent and proceeds anyway. If the surgery directly creates further injury to you, then you may be able to open a medical malpractice lawsuit against that doctor. You will need a lawyer that has experience trying these cases to assist you in sifting through legal jargon and understanding whether or not you have a case. Another sector of law we like to dabble in at Eisner is personal injury law. Personal injury is a broader area of law than medical malpractice. The most common area personal injuries occur in is auto accidents. Auto accidents include, car accidents, bus accidents, train accidents, plane accidents, motorcycle accidents, bike accidents, and any other moving vehicle one may use for transportation. Personal injury also includes sectors of law like nursing home abuse and negligence, slips and falls, dog bites, medical malpractice, workplace incidents, wrongful death, and product liability. Depending on the case, personal injury cases can reward you with compensation that will cover medical expenses, lost and future wages, and other related expenses. The attorneys at Eisener Law Firm have a proven track record. 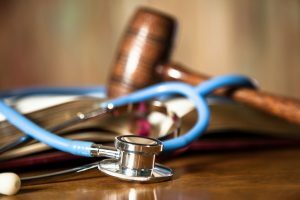 While we cannot reverse the damage medical malpractice and personal injury may have done to yourself, a loved one, or friend, we are here to help you fight for the justice you deserve. Medical malpractice and personal injury cases are difficult to navigate through on your own. Even if you do not choose Eisner to represent you in the court of law, you should look for an attorney that can help you. At Eisner, our attorneys work on a contingency basis. This means that if you do not get paid, our attorneys do not get paid. Not only is this good for your pocket, but it keeps our lawyers pushing for the best compensation package for our clients. If you or anyone you know has encountered an issue regarding any of the aforementioned sections of the law, please do not hesitate and contact us today. You are entitled to the compensation you deserve for your pain and suffering. At Eisner, we are dedicated to getting you the justice you deserve.